Upper Valley Connections: Halloween Fun! 12:00pm Howl-e-ween Party - Dress-up your yourself, your kids, and your pets and come to the Small Animal Veterinary Emergency Services Howl-e-ween party for games, food, contests, pet portraits, prizes! 5:30pm Annual Hoots & Howls at VINS- This event is both educational and fun and non-scary, great for families. There will be guided tours along trails lighted with pumpkins, storytelling, live animals, puppet show, activities and more. The evening will wrap up with yummy treats and a chance to meet a bird up close. Come in costume if you wish. 6:00pm Annual Halloween Egg Haunt, Parade & Meat Ball in White River Junction - a hunt for eggs and Halloween treats, bouncy castle, doughnuts on a string and more at the Main st museum. Parade follows at 8:00 pm. Followed by a Halloween ball. 10am-5pm 19th Annual Family Halloween at Billings Farm - Children in costume receive free admission when accompanied by an adult (adults pay the regular admission fee). Enjoy Pumpkin carving, doughnuts-on-a-string, wagon rides, cranking pumpkin ice cream, plus “not-too-scary” Halloween stories, pumpkin games, and animal programs. Costume parades at 12:00 & 2:00 p.m., will be led by one of the Billings Farm’s friendly Southdown ewes and all children will receive a ribbon. 3:00 pm TMO Halloween Fundraiser at Richard Black Center - Ghost and Goblins Welcome! Come Support Toddler's Morning Out Scholarship Fundraiser. Face painting, bouncy house, pizza, treats, art and crafts and more! 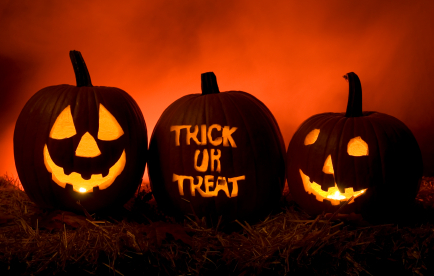 3:30pm Tots & Tea Halloween party and parade at St Thomas church, Hanover, in the parish hall. Wear your costume and bring a treat (and/or a trick!) to share. Also, if you'd like, bring a can of food for the Haven food shelf. All are welcome! 3:30pm Norwich Halloween Celebration - This is a family event featuring face & nail painting, refreshments, games and more. Haunted House at the Grange in Norwich - Visit if you dare! pumpkin painting and photos with your favorite storybook characters! This year a new character is coming to Fun Fest! Try some pumpkin bowling, during the Trunk and Treating Tailgate Party! 6:00pm Lebanon Fire Department Open House & Halloween Bash - Lots of festive fun to be had at the Fire House, be sure to drop in. As always, feel free to share if you know of other events. Have a happy Halloween!